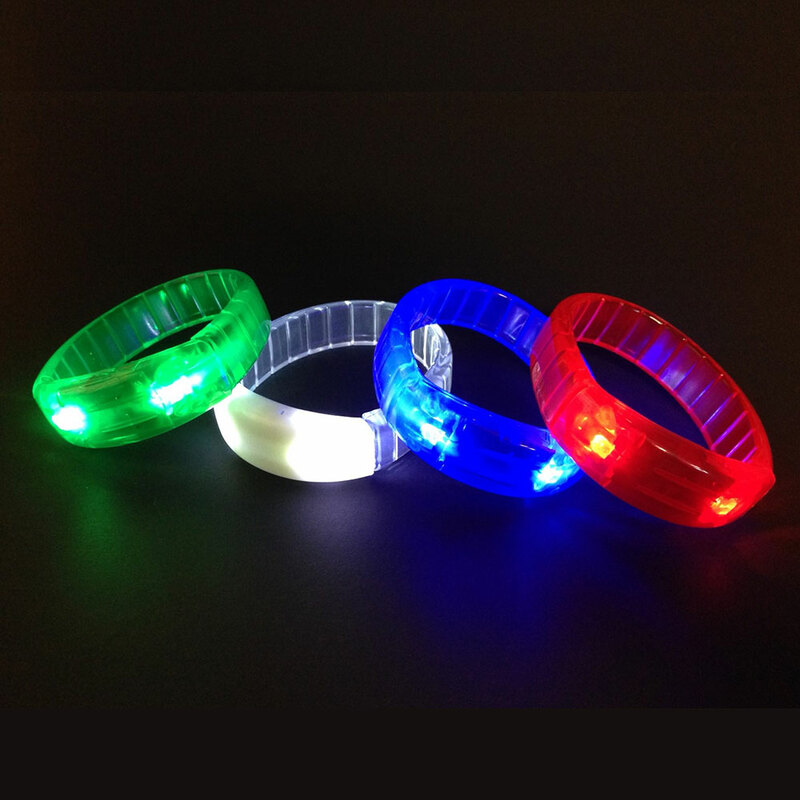 Bring a bright touch to your look with the red LED light-up bracelet at your various festivities like Christmas, Valentine`s Day, a wedding, a bachelorette party, birthday or party of your choice. Made of clear red plastic, it has 3 replaceable AG3 batteries. Very easy to activate, just press the small switch on the back of the bracelet to select one of three configurations. You can choose a quick blink, slower or fixed red light. This light-up item is not recommended for children under 5 years old. Possible printing area: 1.5 inches wide x 0.5 inches high. 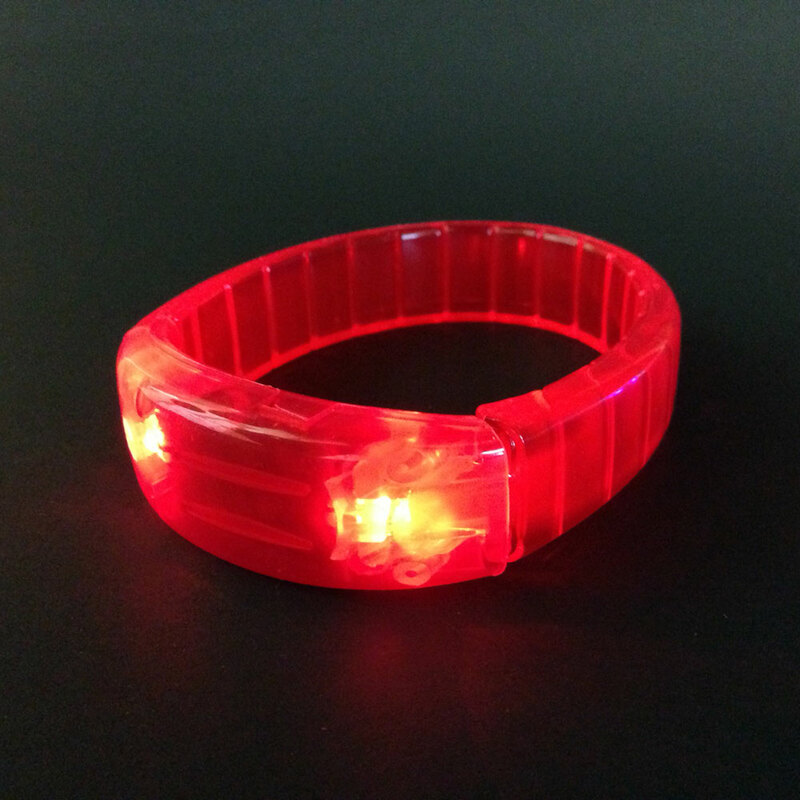 Red light up LED round bracelet - 3 AG13 batt. inc. & repl.